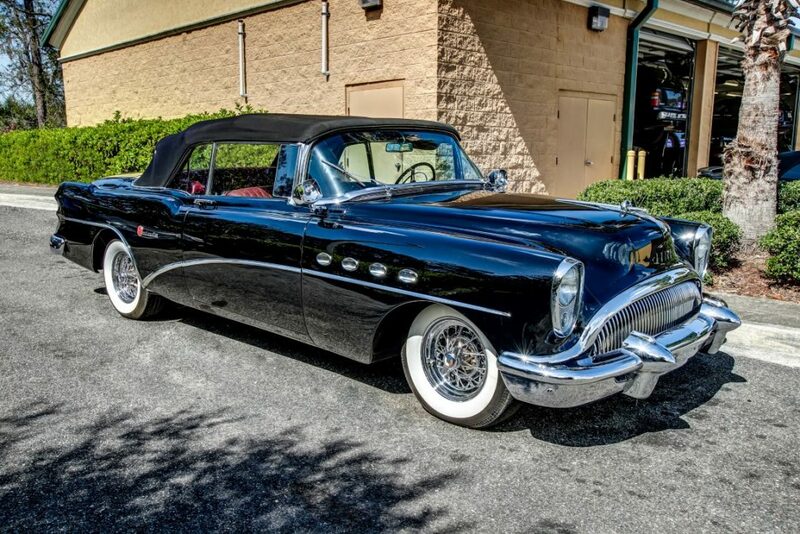 In 1954 the economy was flourishing, suburbia was expanding and families with means yearned for long weekend drives in spacious open cars. 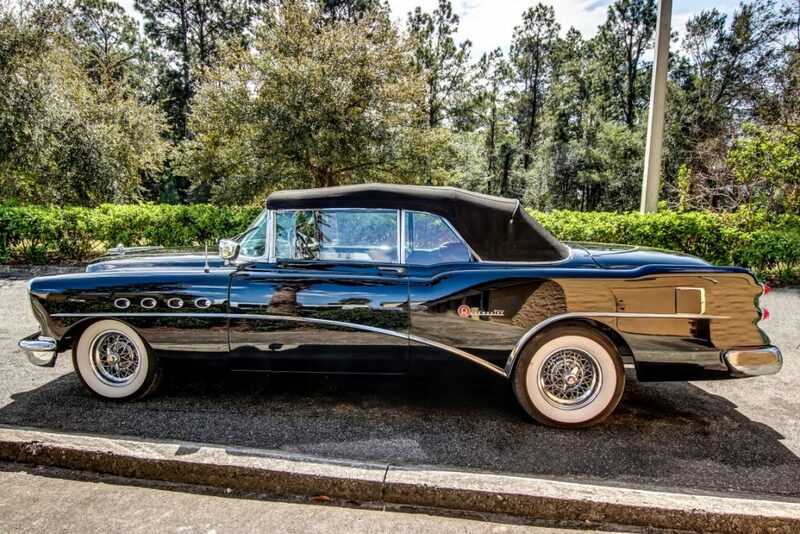 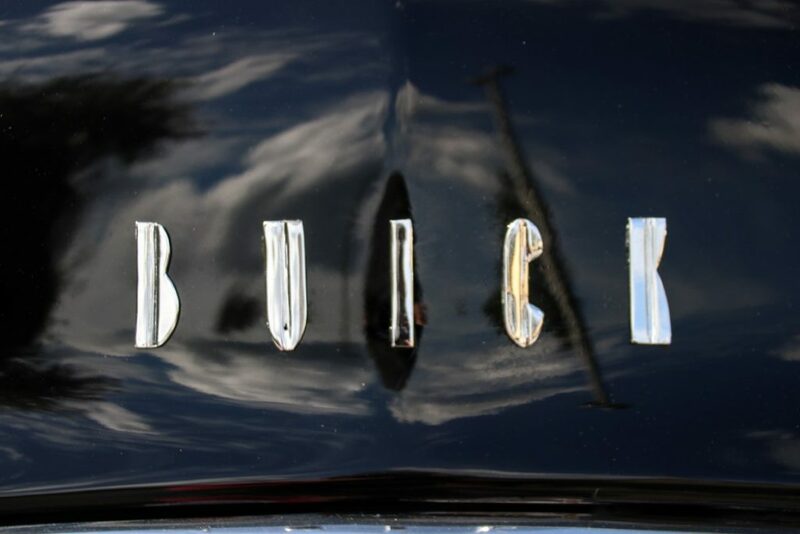 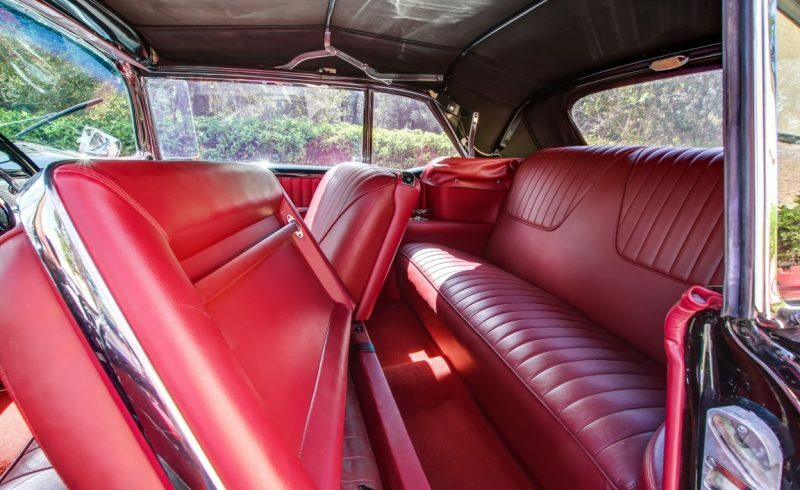 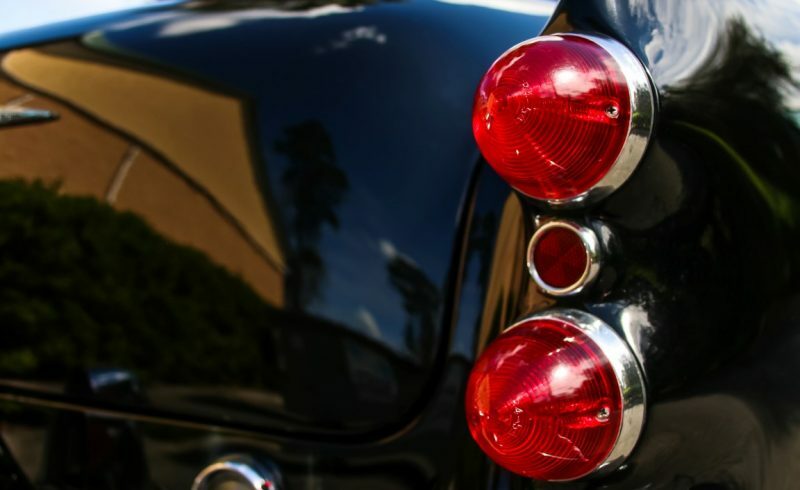 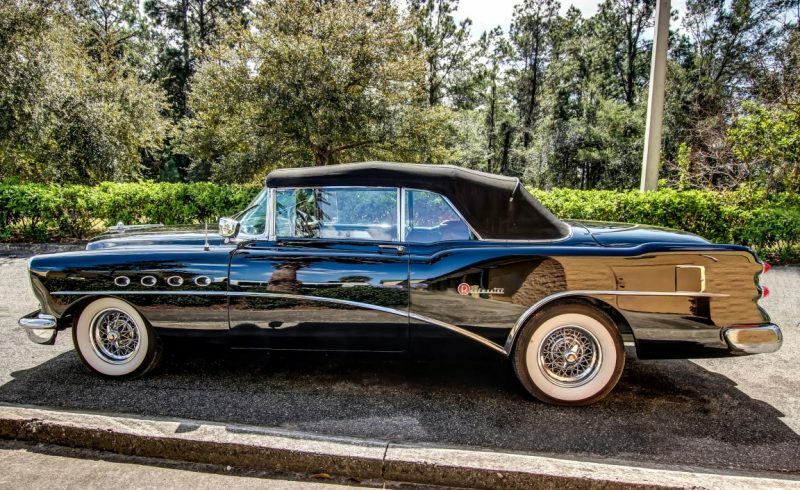 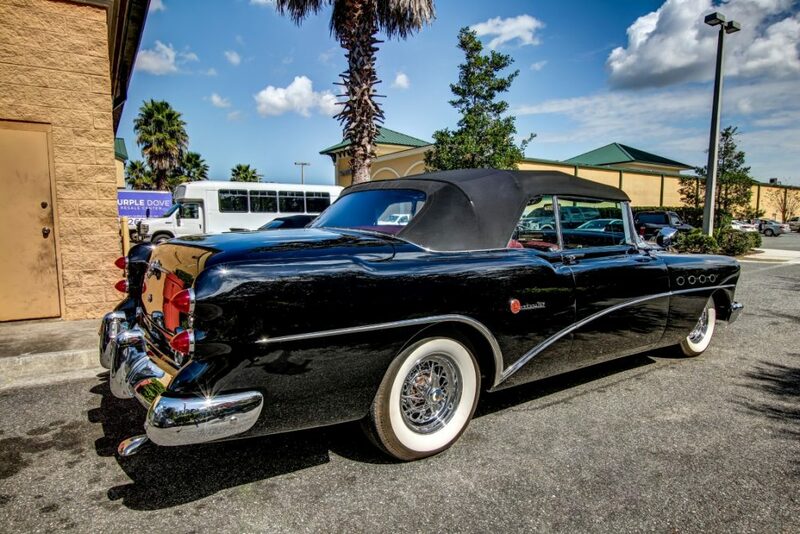 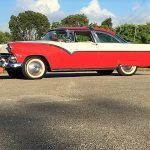 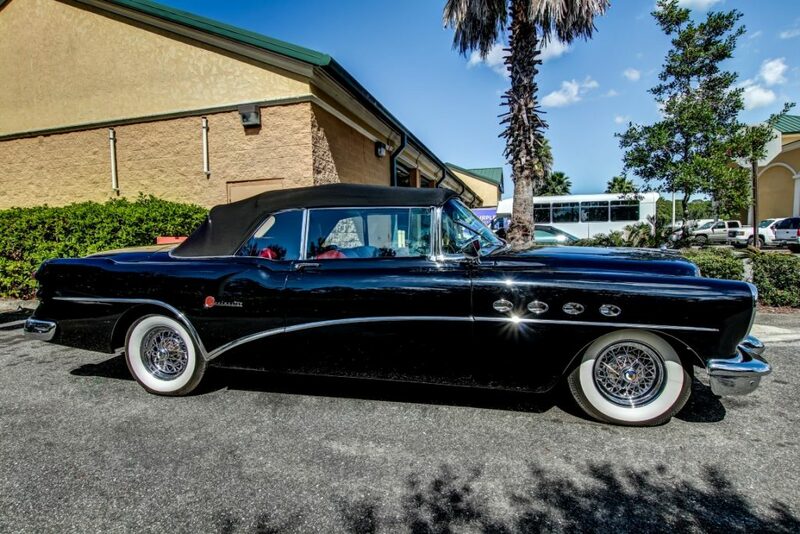 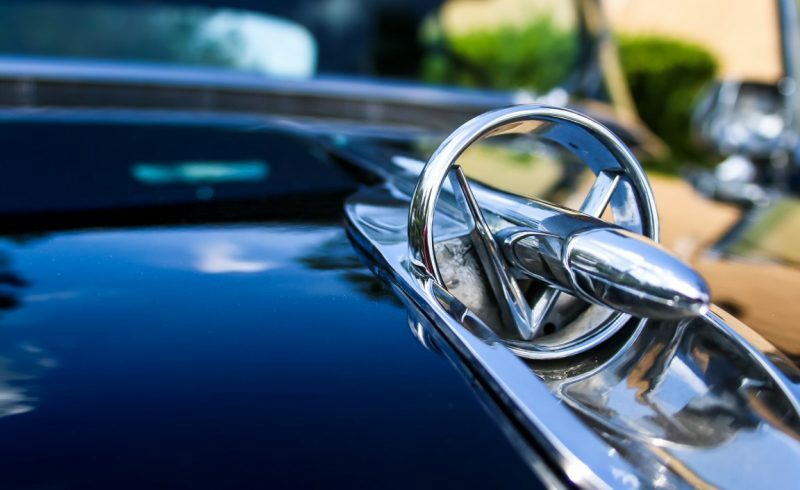 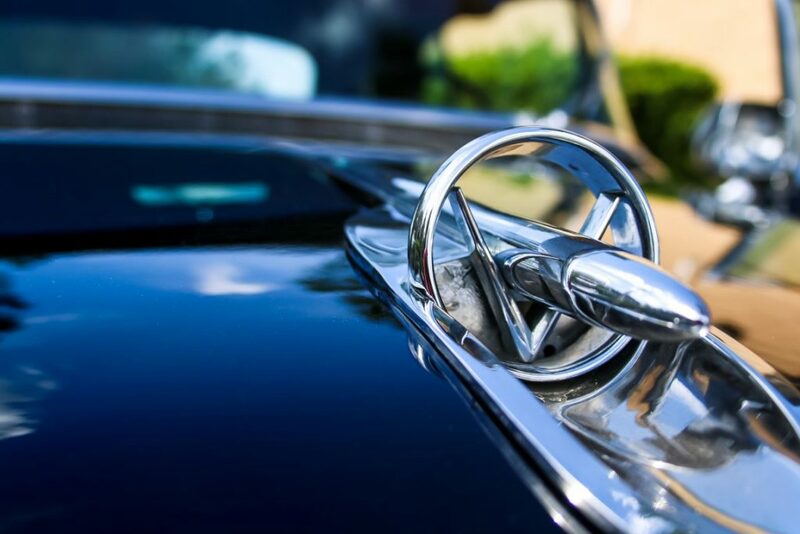 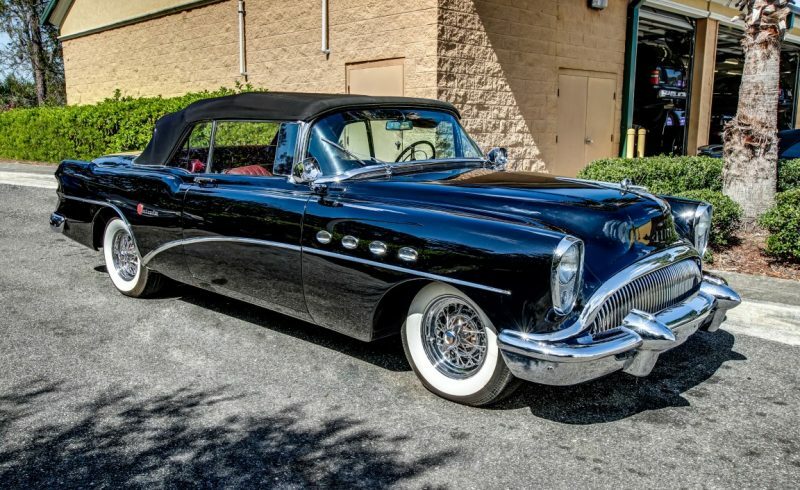 The top of the line Buick Roadmaster answered the call, In 1954 it was again restyled and this year it shared the chassis with the larger Cadillac 62 and Oldsmobile 98 series cars. 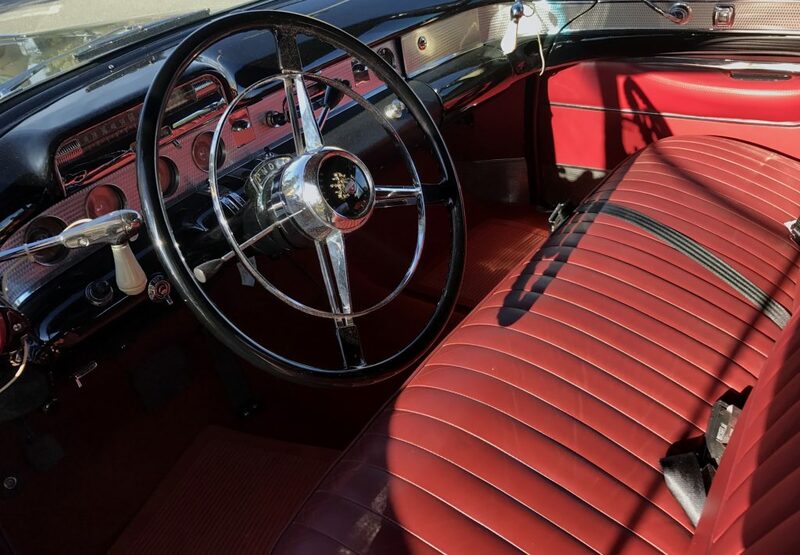 Convertibles were popular and available in almost every line of cars built by GM. 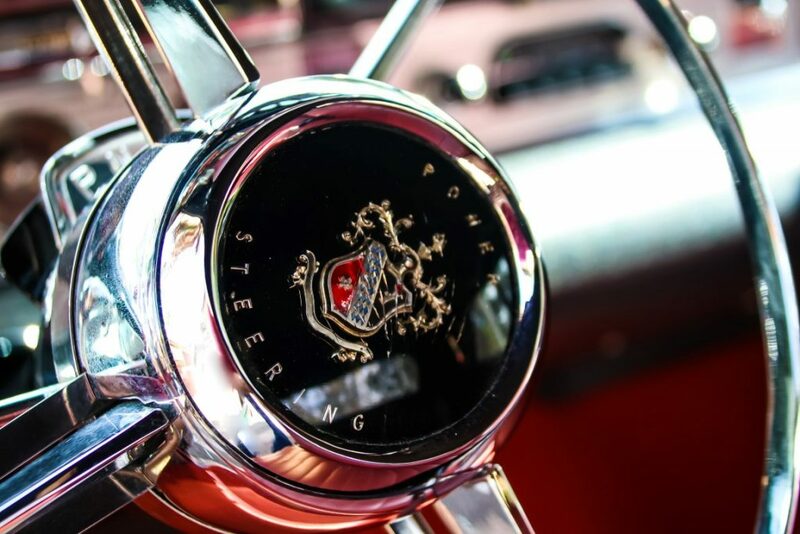 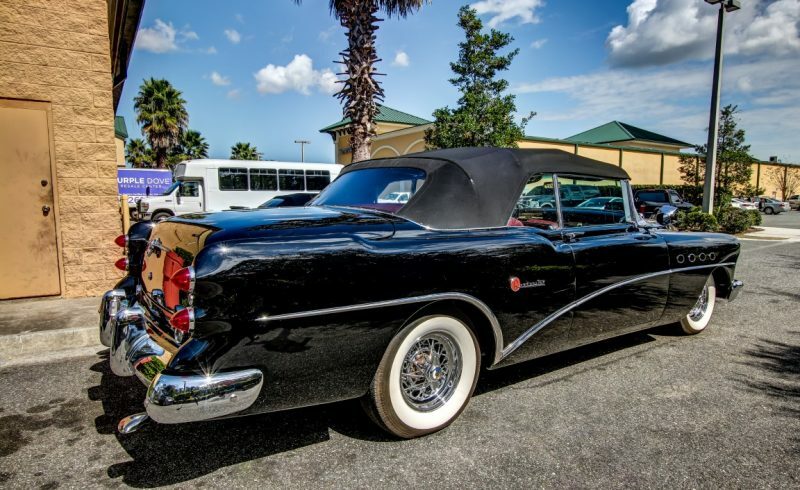 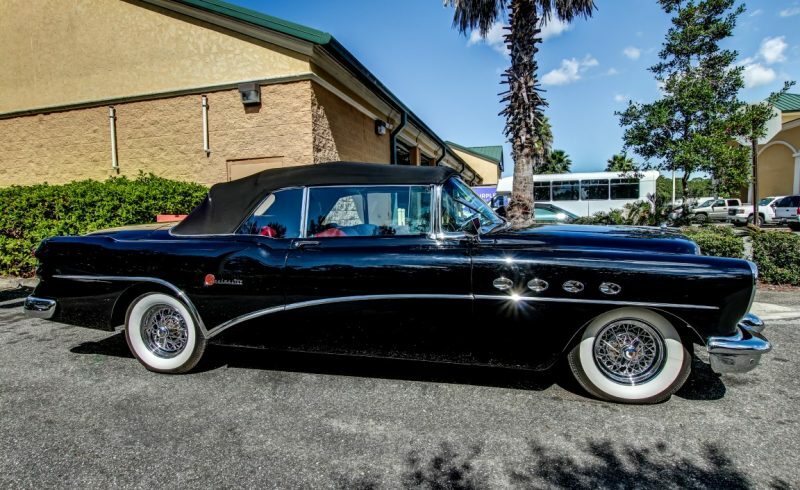 The 3,521.00 price tag of the Roadmaster convertibles did not deter sales, and was the second most prolific convertible sold through Buick Dealerships totaling 3,305 units. 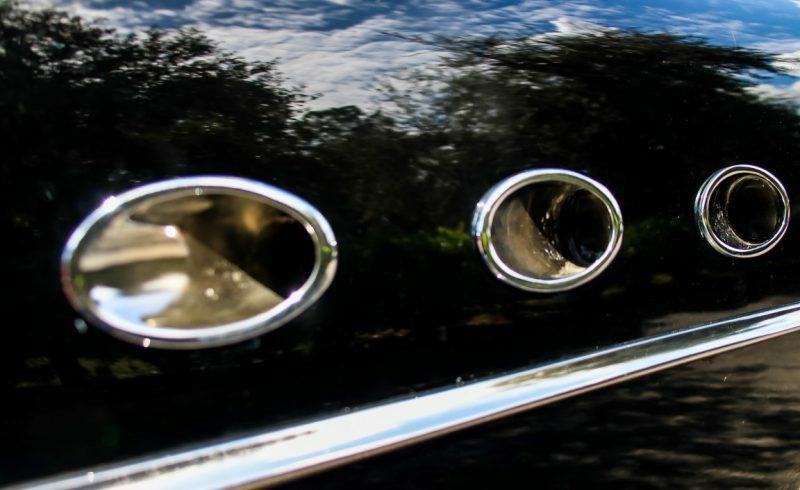 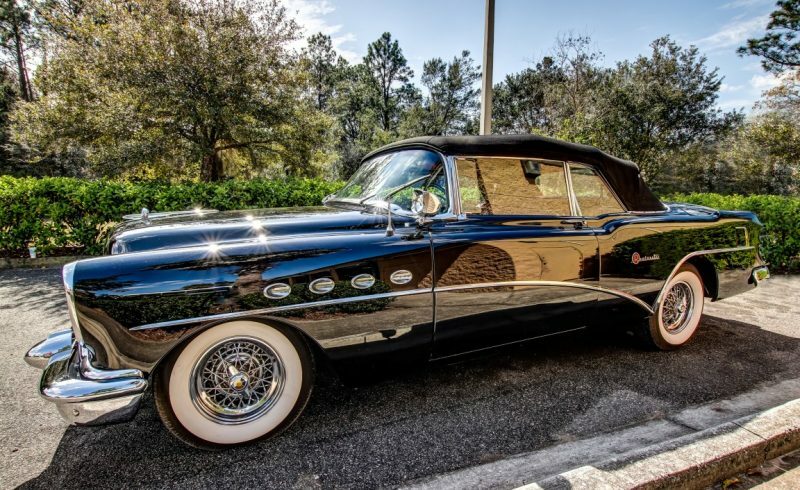 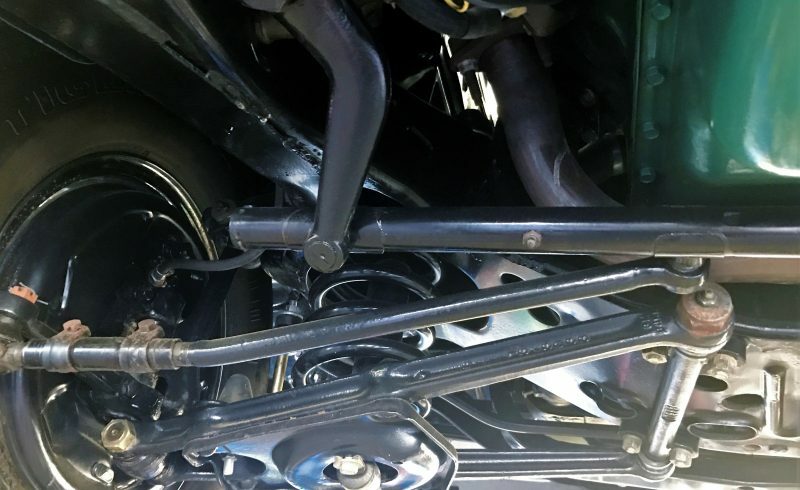 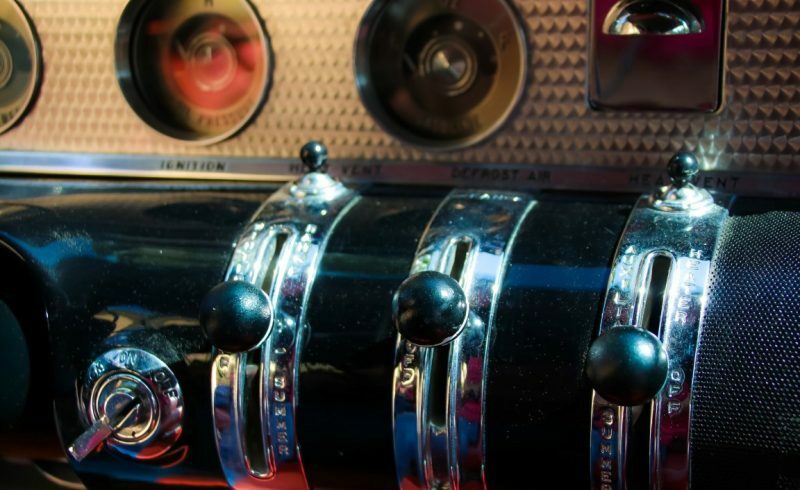 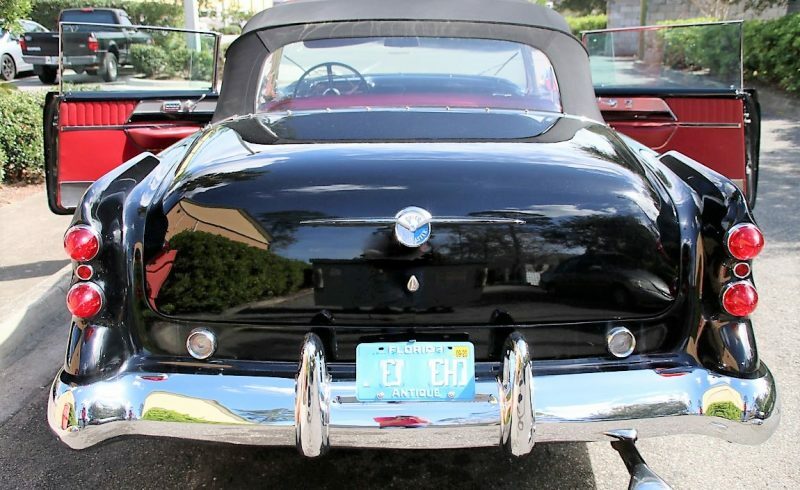 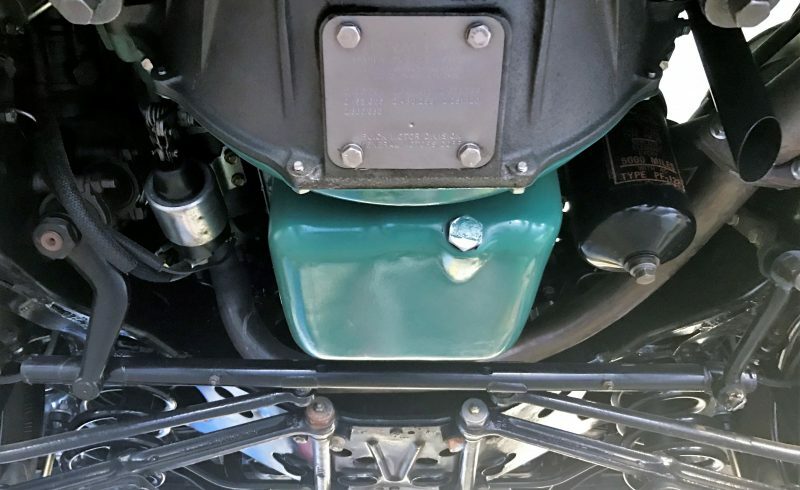 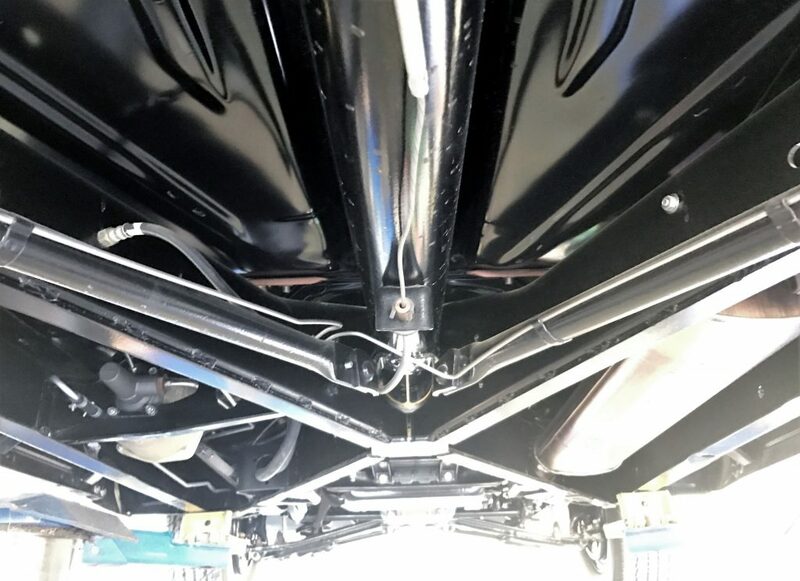 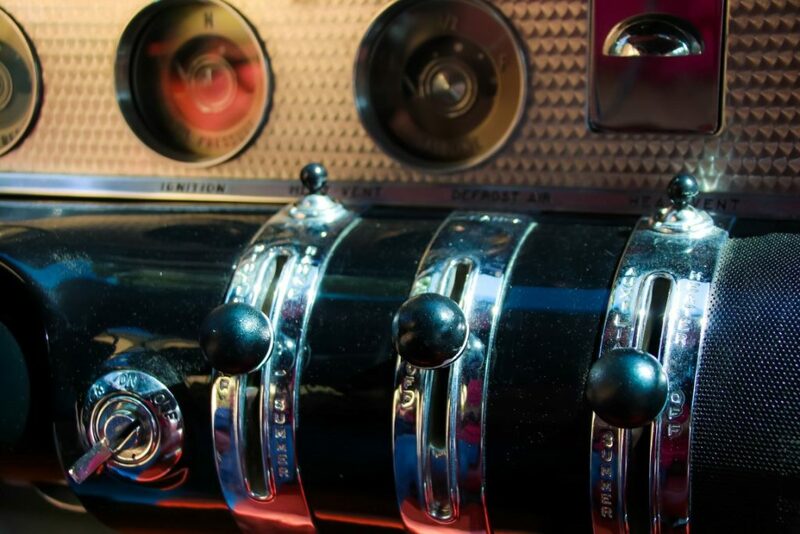 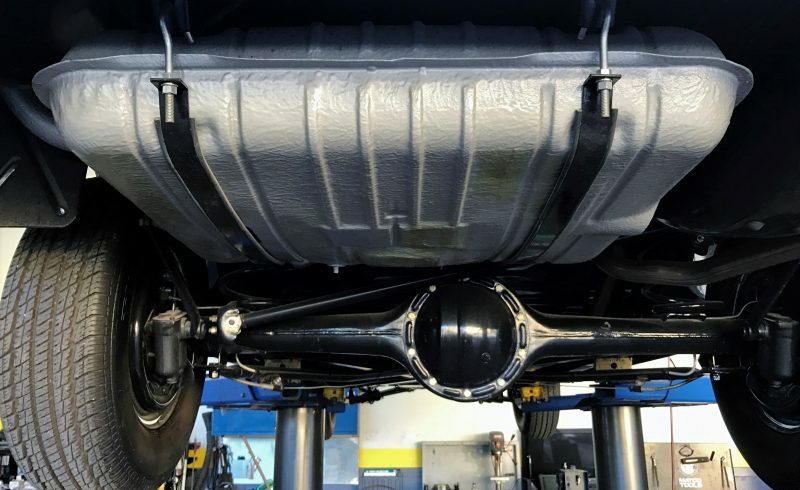 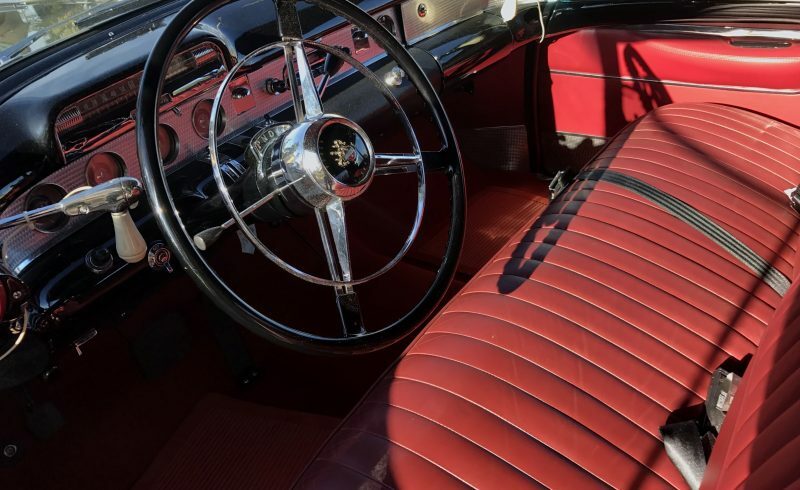 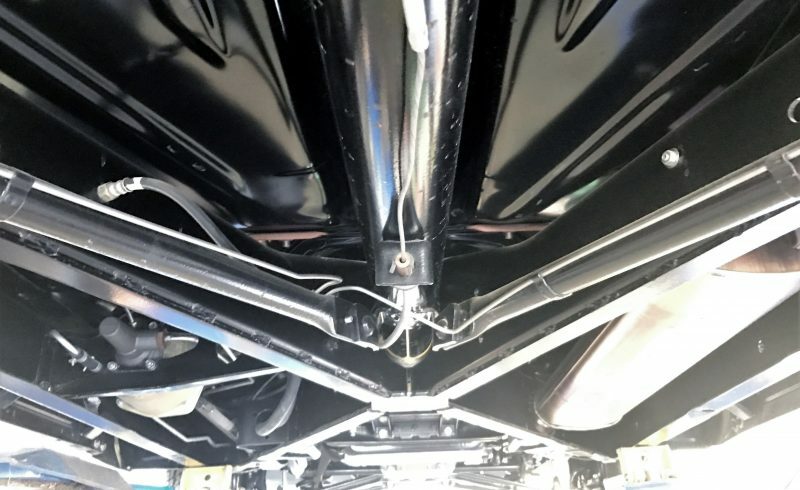 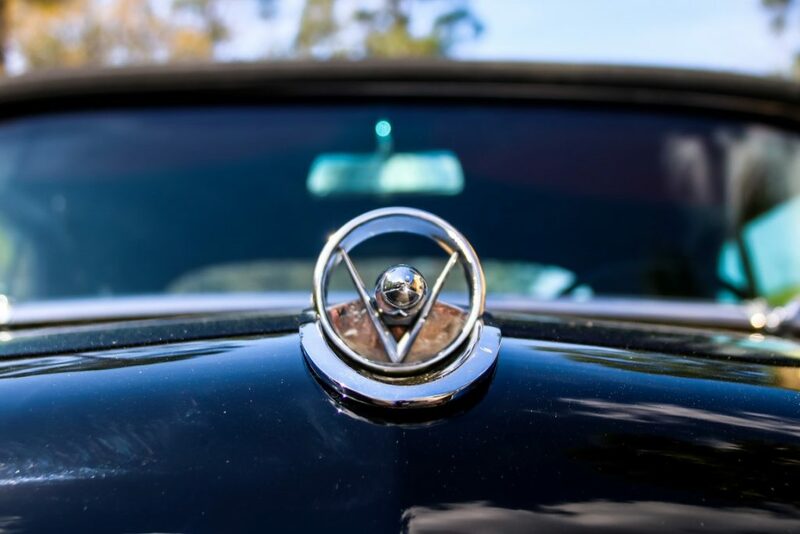 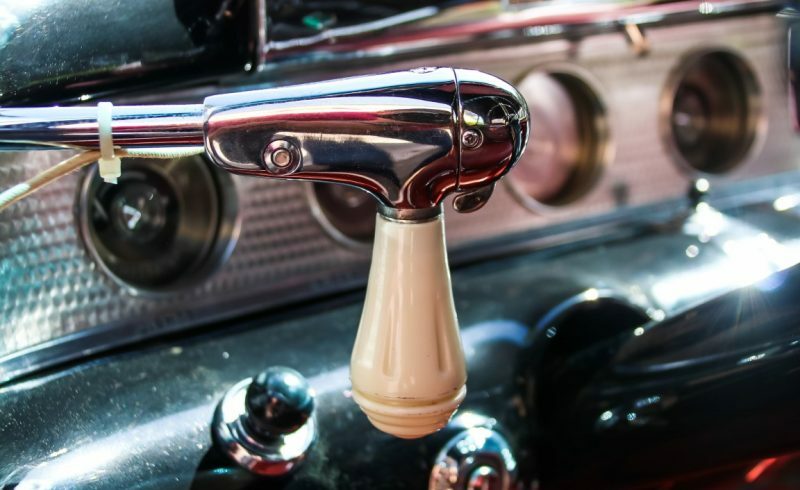 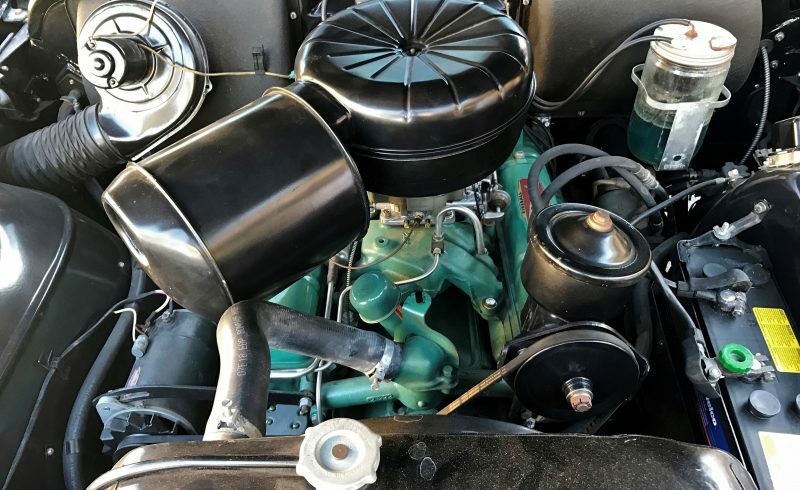 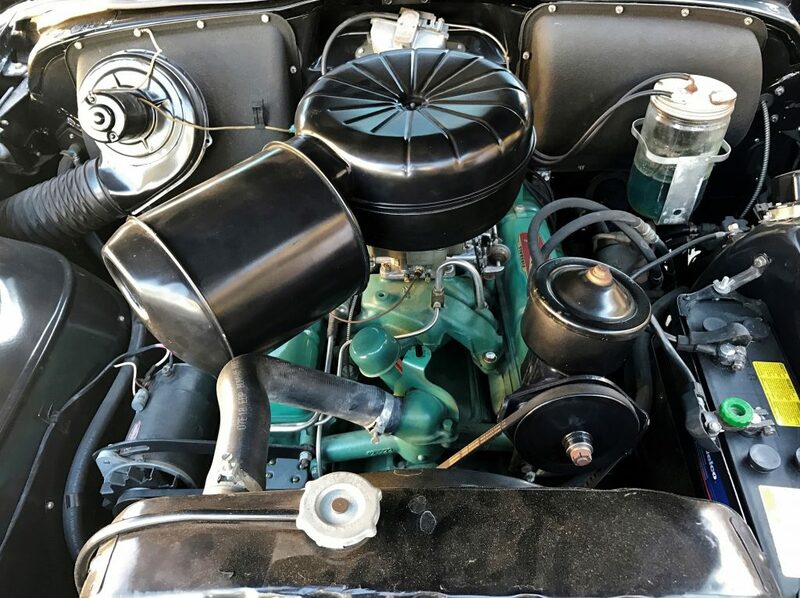 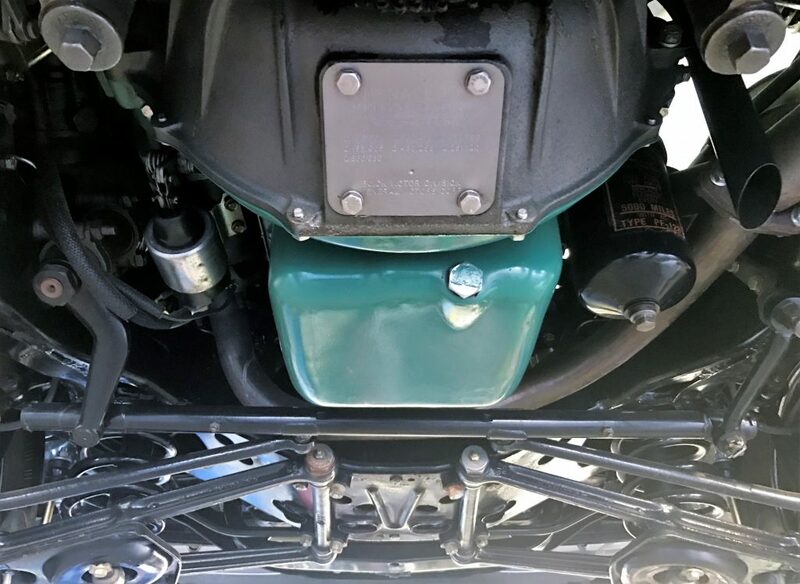 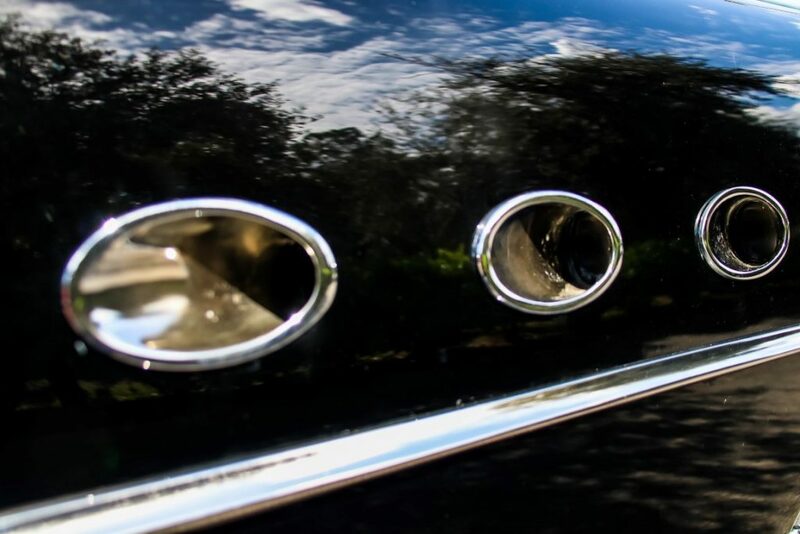 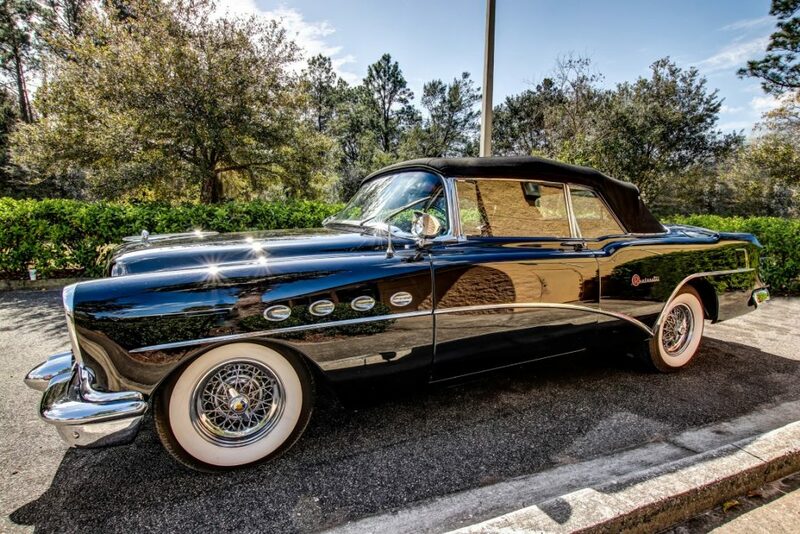 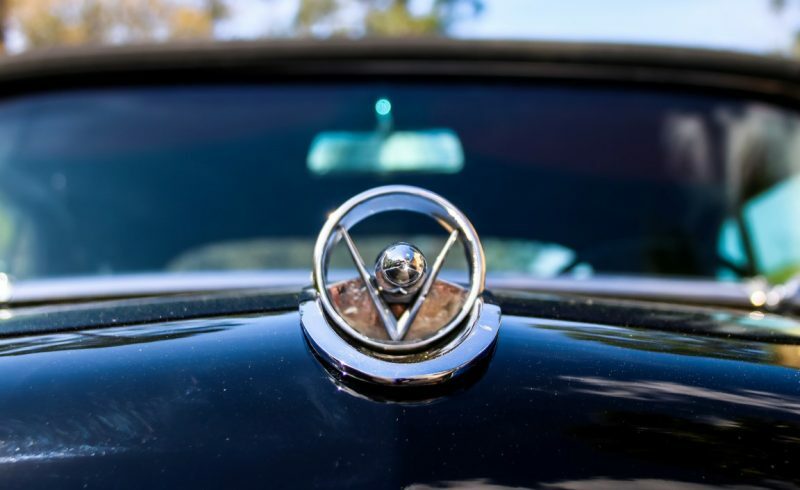 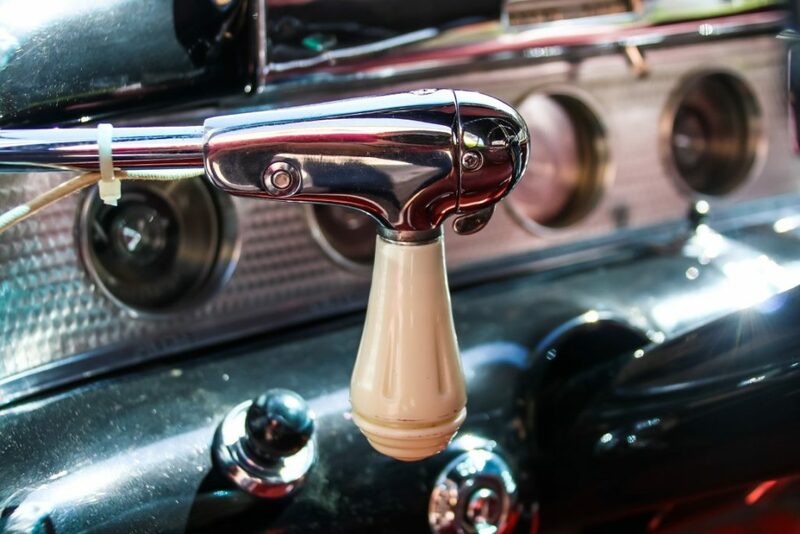 The traditional Buick straight-eight engine had been eliminated in favor of an all new V-8 design, and behind their infamous four fender ventiports, the mighty Roadmaster’s 322 cid engine produced a stout 200hp. 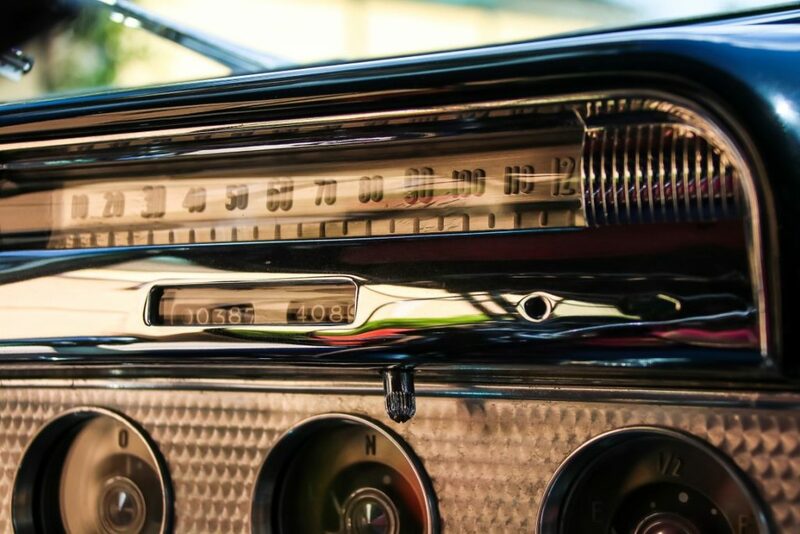 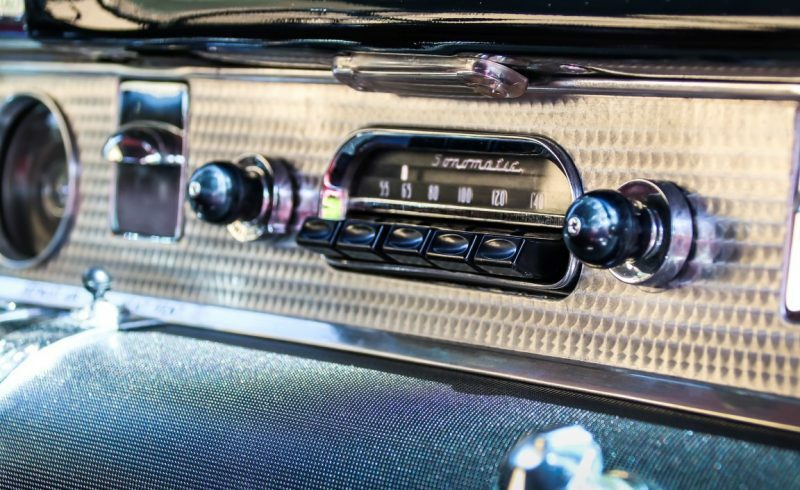 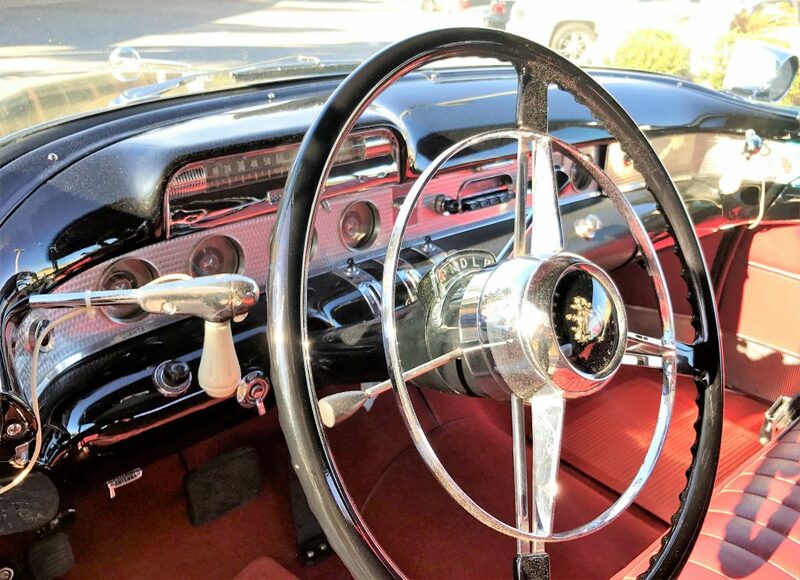 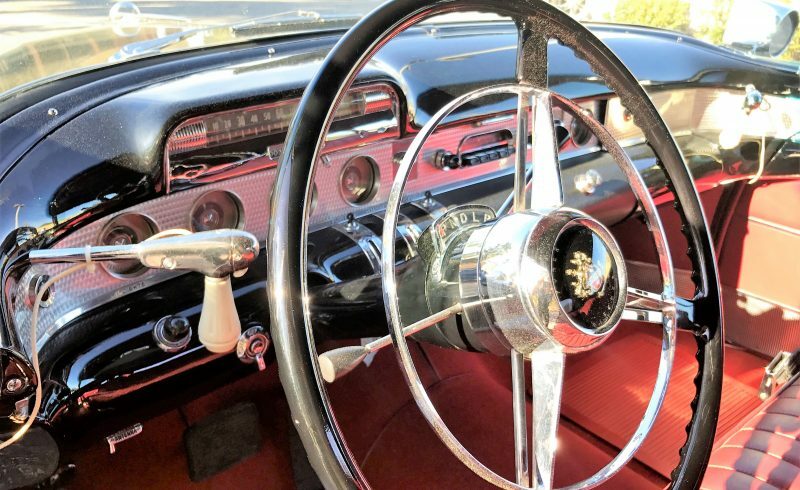 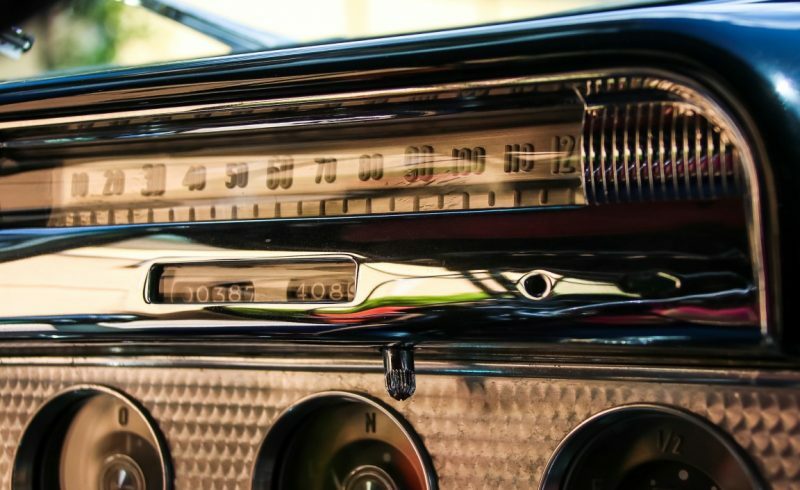 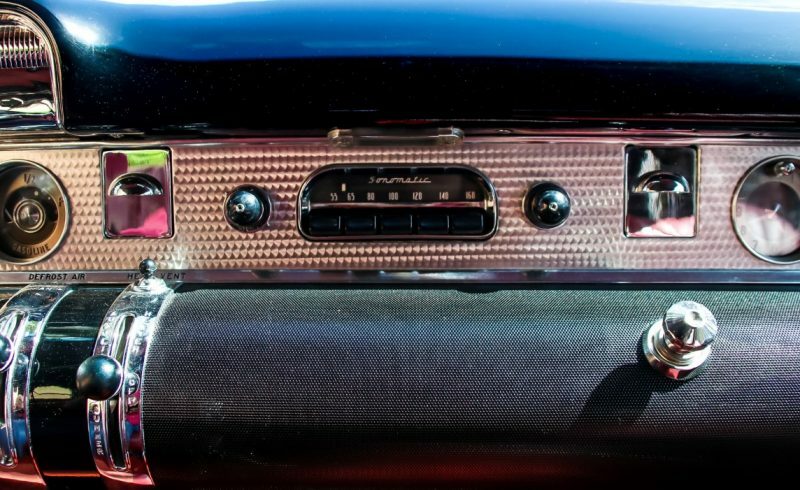 A Dynaflow automatic transmission, power steering, windows and brakes were standard, and options included 40-spoke Kelsey-Hayes wire wheels, a power front seat, a radio and an electric antenna. 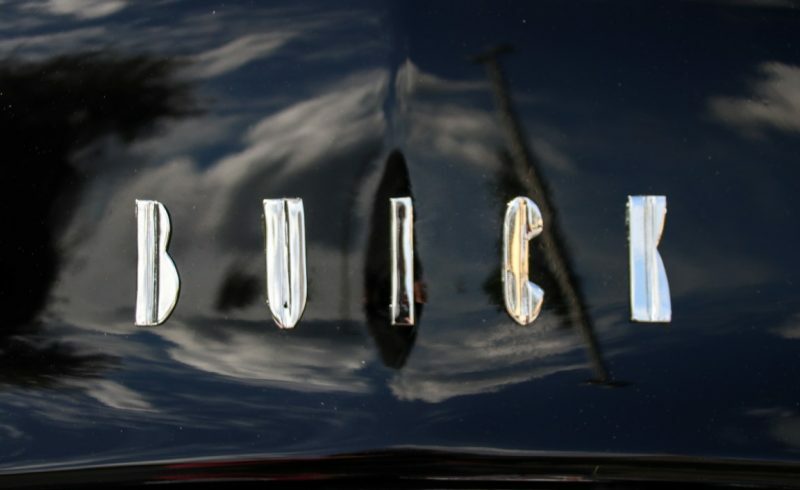 The Buick Roadmasters were acknowledged as a Cadillac equivalent in status. 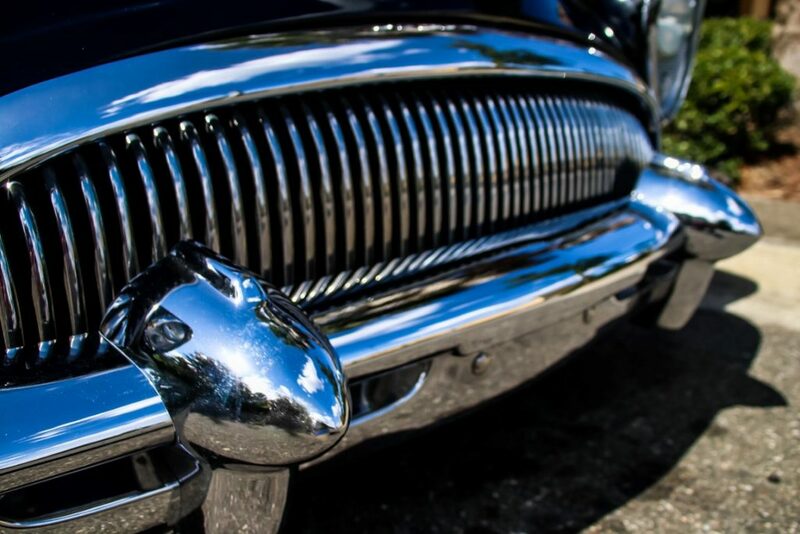 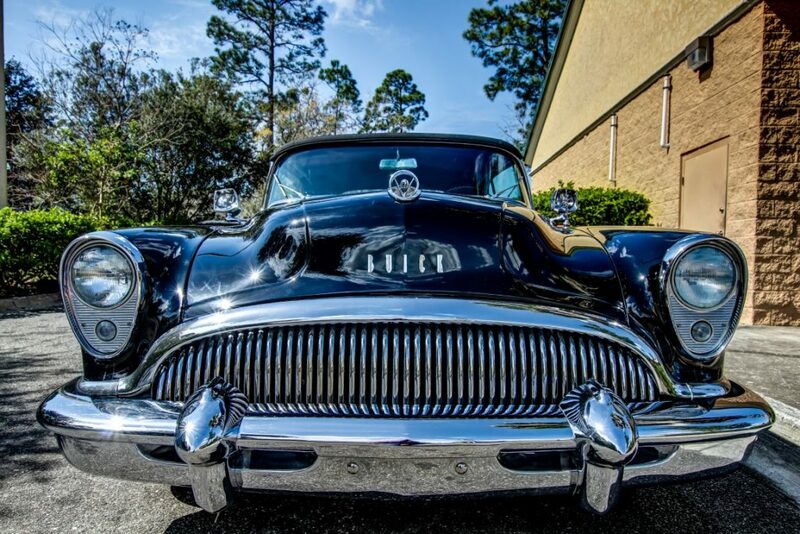 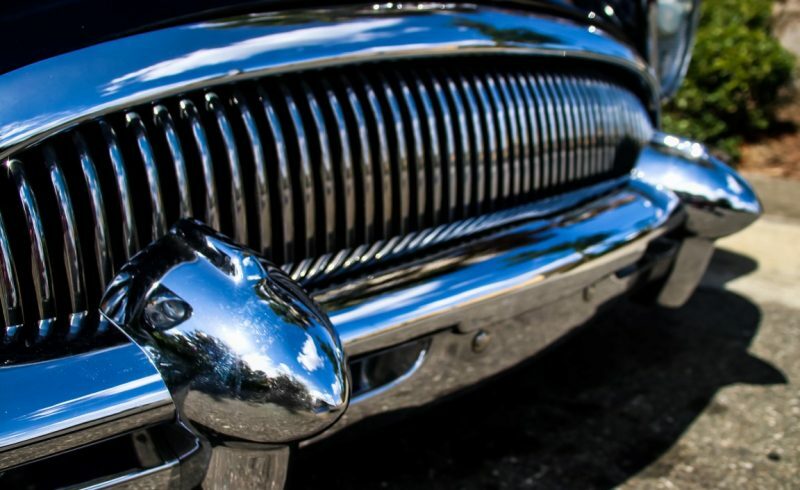 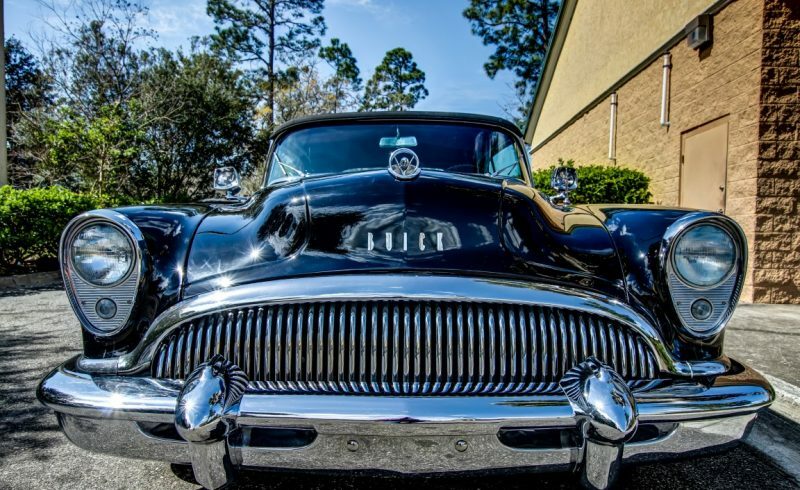 If cars looked like movie stars, this Buick Roadmaster would fit the roll. 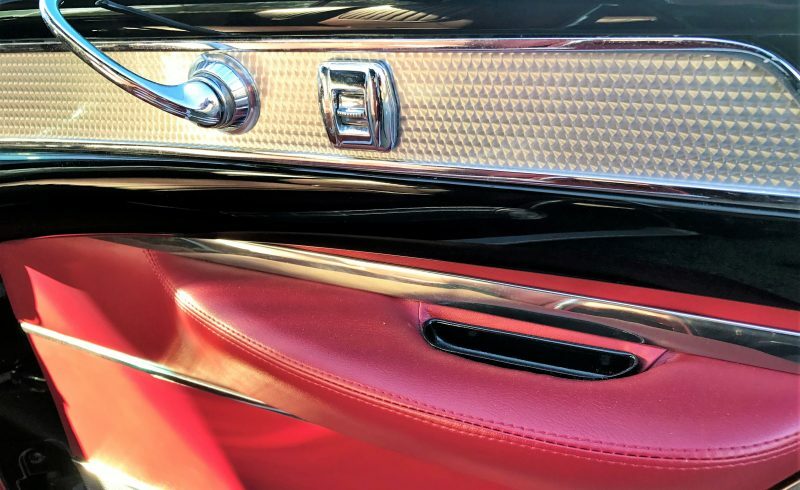 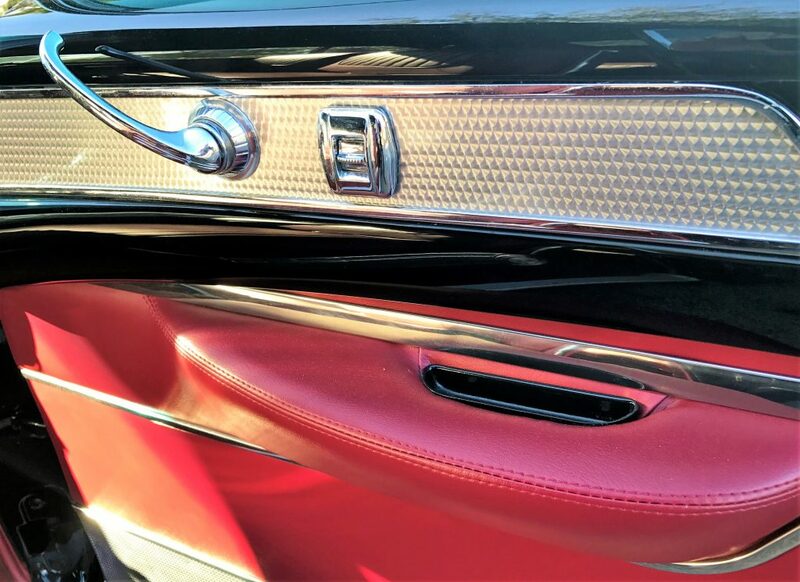 This glamourous convertible is featured here in gleaming tuxedo black paint accented with glossy red leather that stands out like ruby slippers. 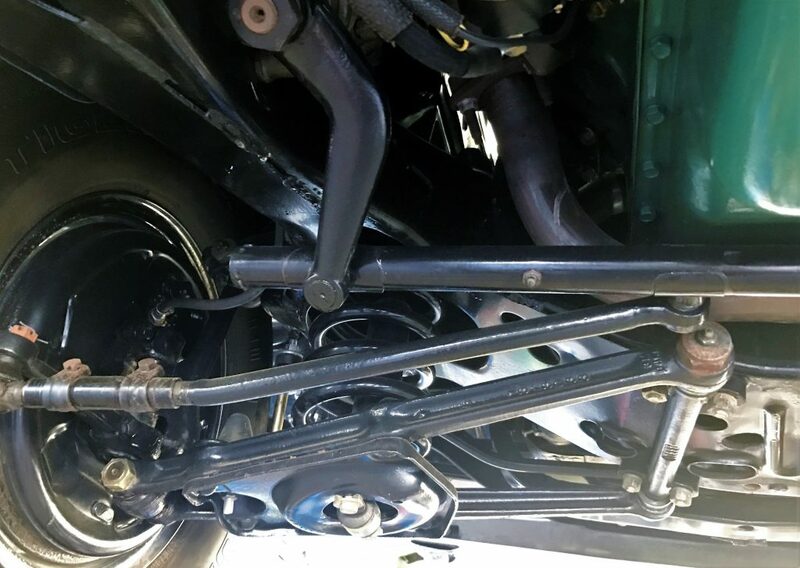 She has undergone a meticulous rotisserie restoration to the tune of quarter of a million dollars, and it shows. 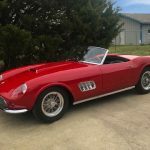 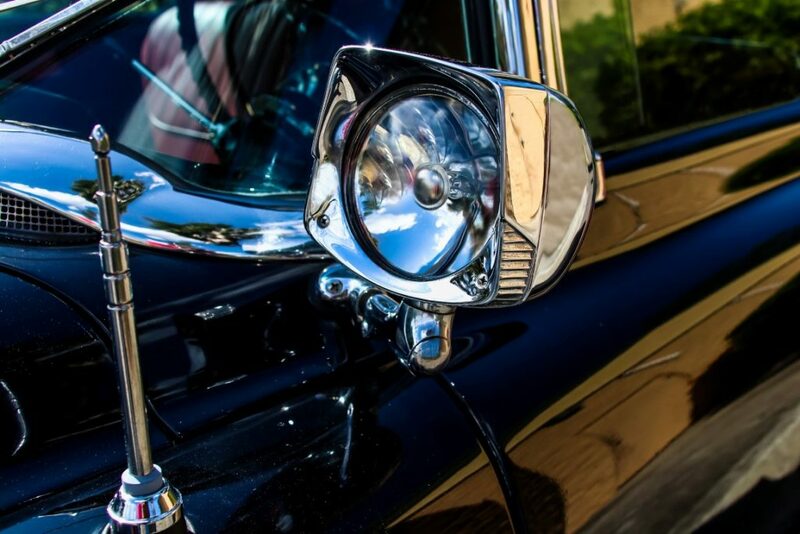 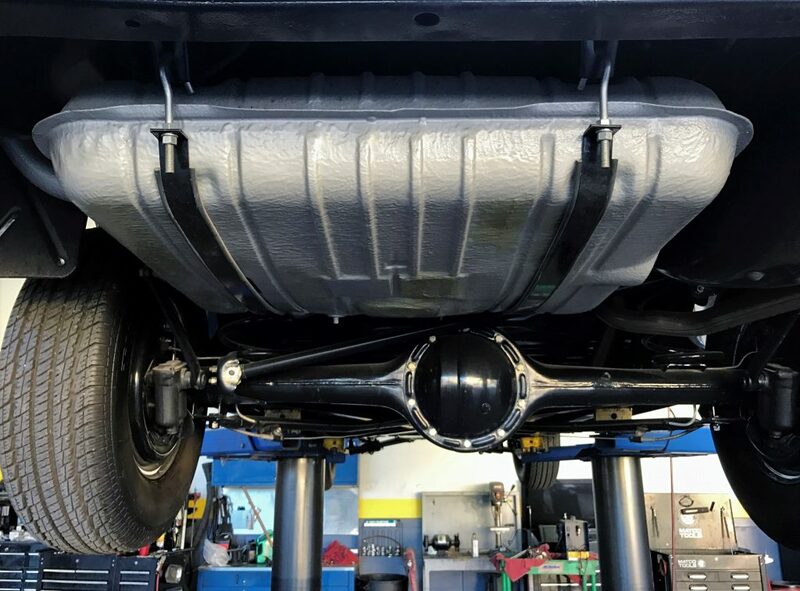 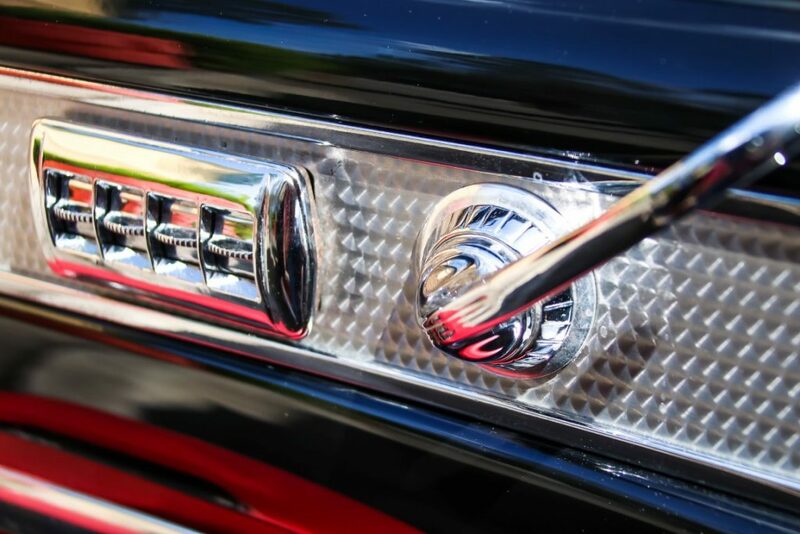 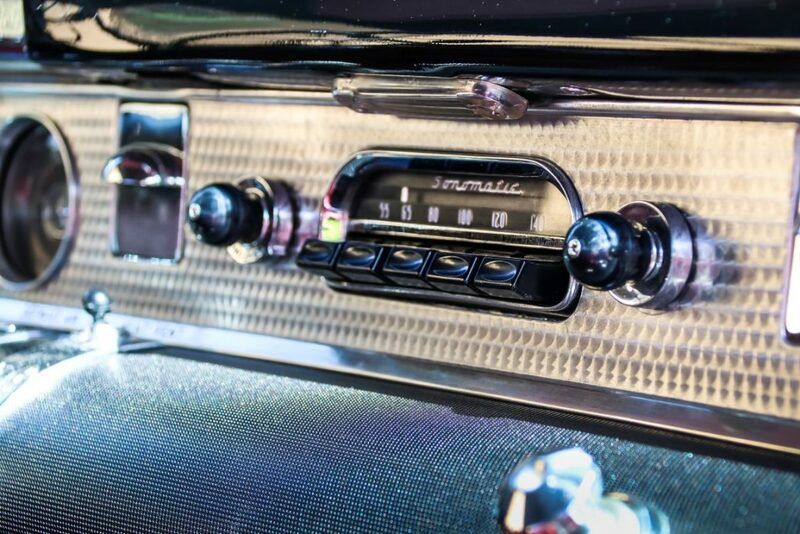 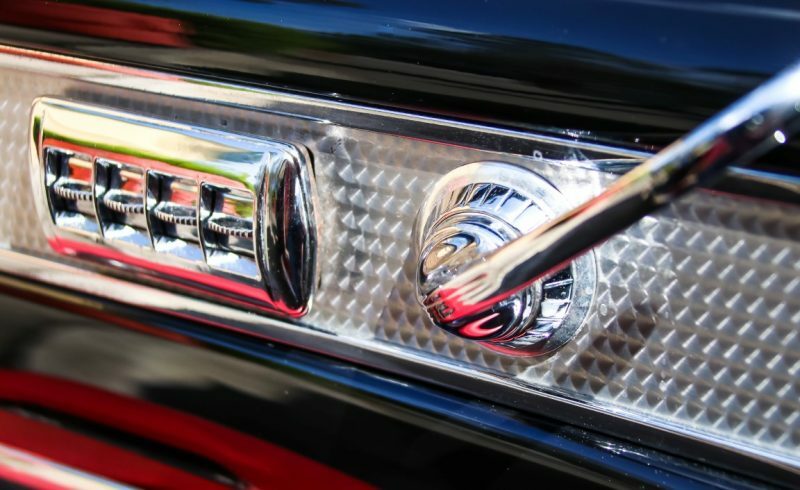 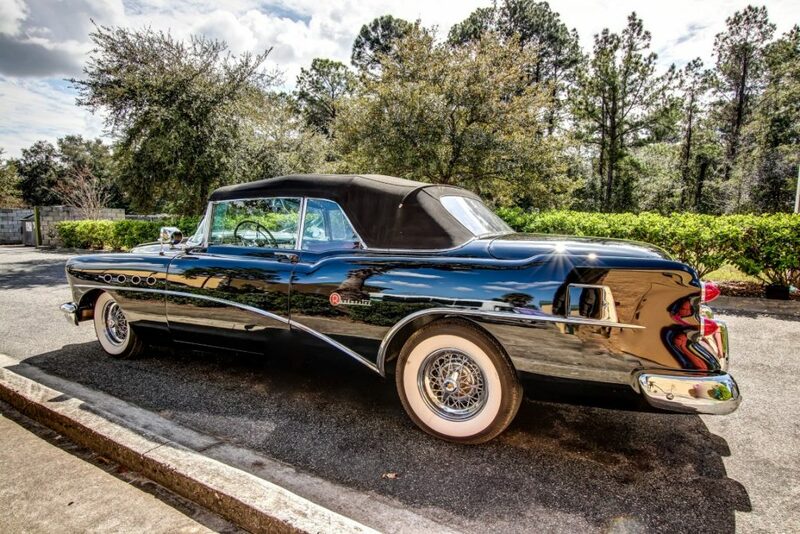 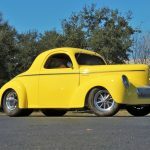 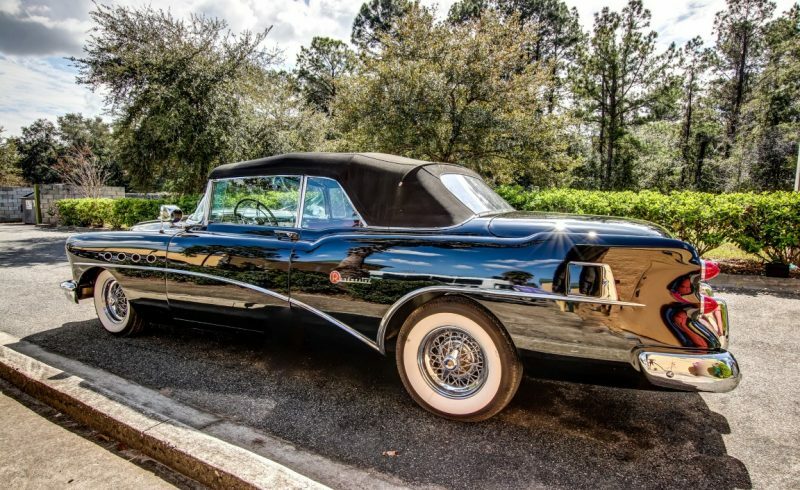 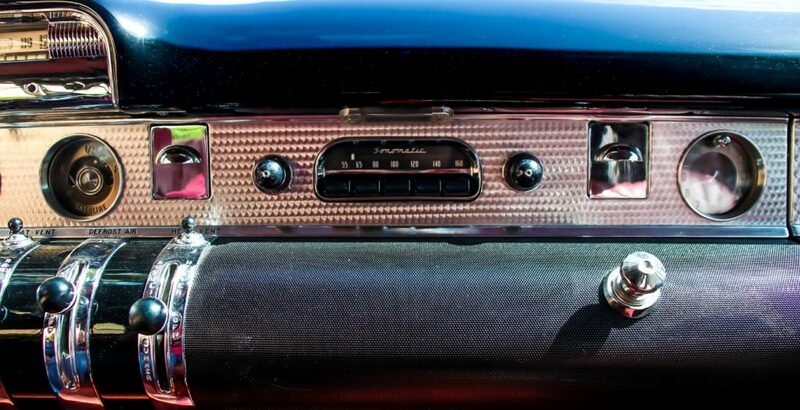 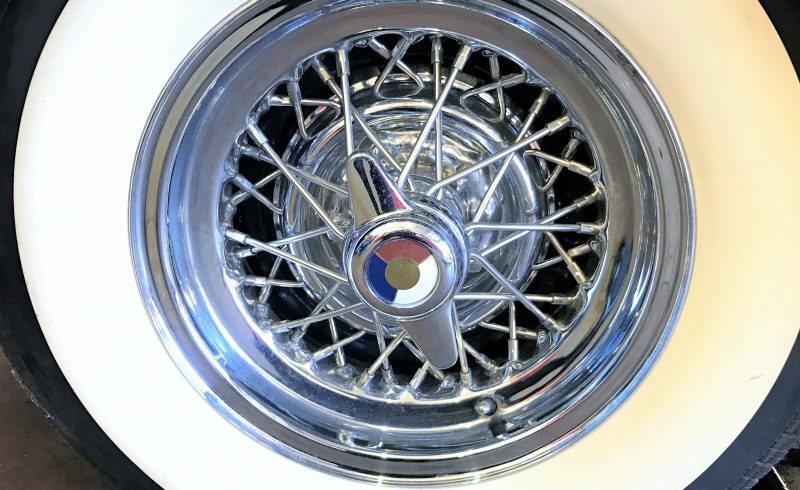 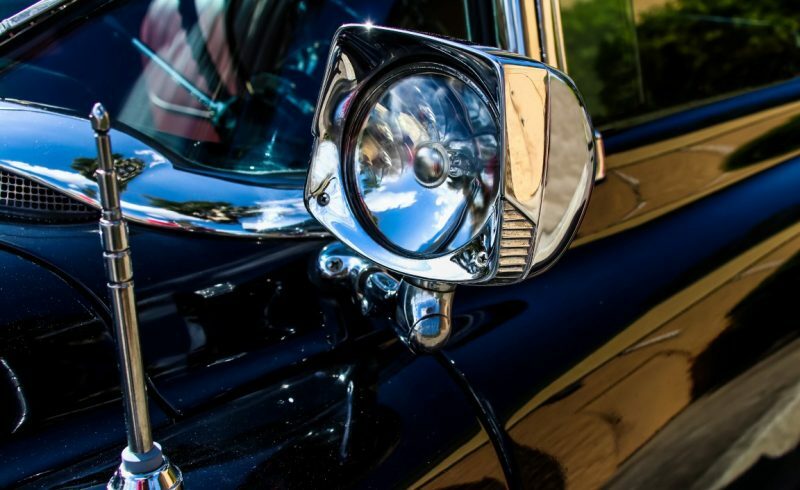 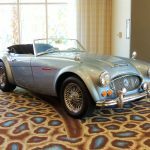 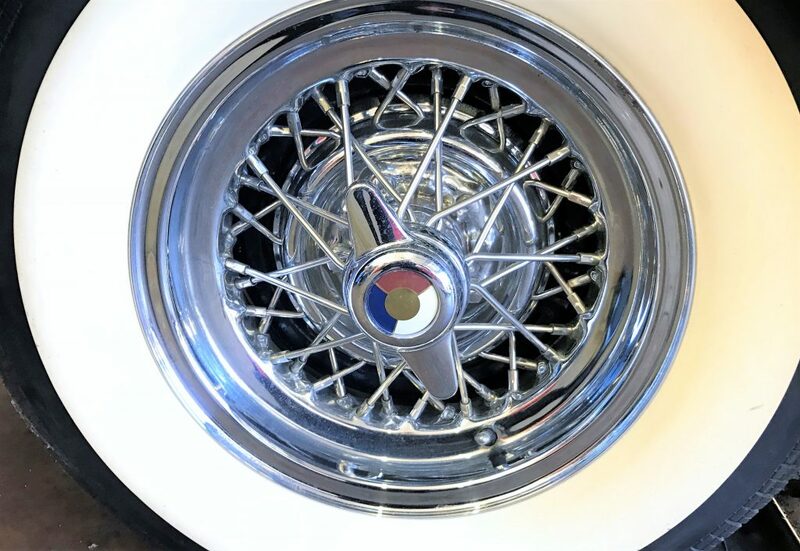 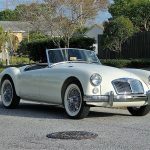 This car is nicely optioned with Kelsey Hayes wire wheels with spinners, loads of chrome and dual side mount spot lights in classic 50’s tradition. 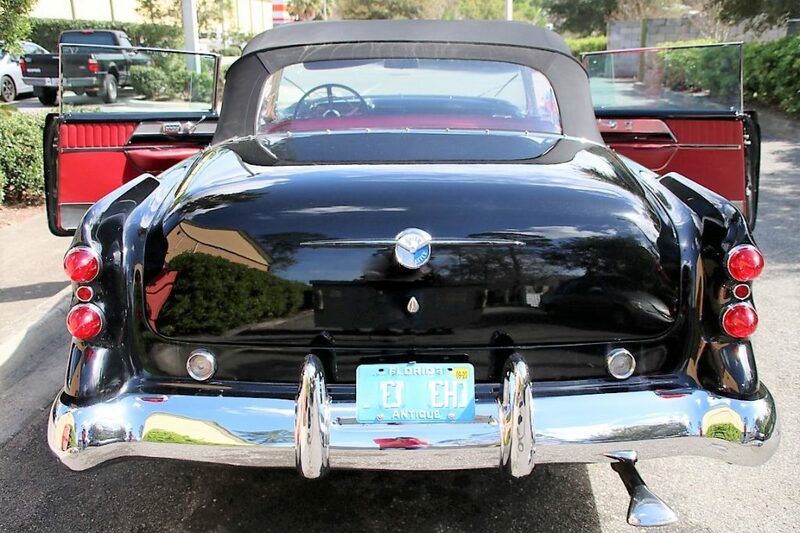 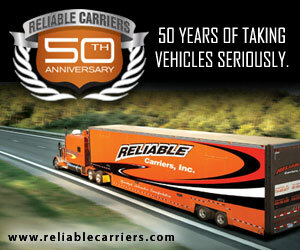 This show winning classic is sure to receive an award at its next feature presentation.